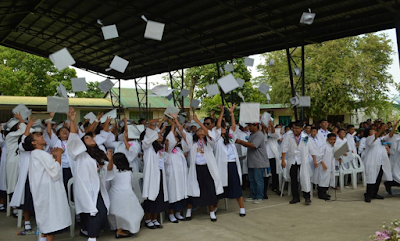 Graduates of Batch 2016 comprising of 169 pupils received their diplomas during the Commencement Exercises of Tenejero Elementary School held on March 29. 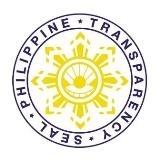 The said pupils are now ready to enroll to grade 7. Ms. Dannalee Torres, an alumnus of TES who is now a Certified Public Accountant (CPA), served as the guest speaker. She gave an inspirational message and explained the theme of this year’s graduation “Kabataang Mula sa K to 12, Tagapag-dala ng Kaunlaran sa Bansang Pilipinas”. Ms. Torres challenged the graduates to study harder and remember all the things they had learned from their Alma Mater because this will be their weapon in achieving success in the future. Dr. Carolina S. Violeta, Officer-in-Charge (OIC) to the Office of the Schools Division Superintendent (SDS), Dr. Armando Capili, OIC-Assistant SDS, Ms. Ellen Macaraeg, Education Program Supervisor-Kinder/Area Supervisor, and other supervisors were present to uphold the graduation rites of the pupils. City Mayor Jose Enrique Garcia III congratulated the successful pupils and gave them some words of encouragement, to dream high and aspire for their goals. Bea Bianca Lazo and Shane Ann Rodriguez were recognized as the batch’ valedictorian and salutatorian, respectively. It was indeed a heartwarming moment for the pupils and their parents as well.